Bugs and critters don’t have the right to live in any home rent-free. 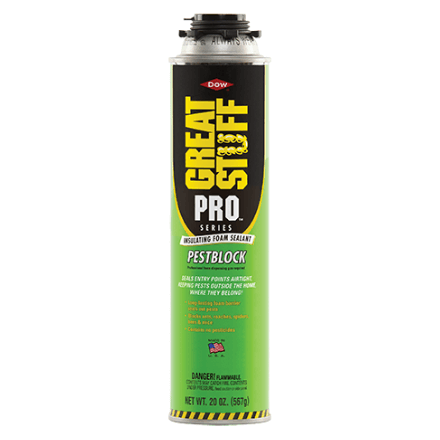 Send them away with GREAT STUFF PRO™ Pestblock, created to block points of entry caused by gaps and cracks. 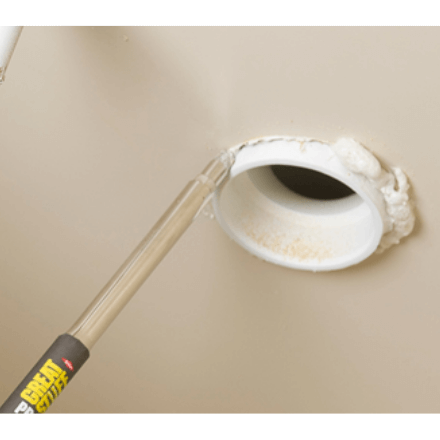 This minimal-expanding polyurethane foam with low-pressure build can help lower energy bills by forming a durable, airtight and water-resistant seal between a window or door frame and its rough opening. All Great Stuff Pro Pestblock documentation, manuals and resources available HERE.